(TibetanReview.net, Jul24, 2014) –Miffed by his recent calls on Buddhist majorities in Myanmar and Sri Lanka to end the violence against the Muslim minorities, a hardline Buddhist leader in the latter country has hit back at the Dalai Lama, Tibet’s exiled spiritual leader and the 1989 Nobel Peace laureate. Galagoda Aththe Gnanasara, the secretary general of the Sri Lanka’s hardline group Bodu Bala Sena (BBS), or “Buddhist Power Force”, has accused the world’s best known Buddhist leader of being influenced by Islamic extremists, according to Reuters and AFP reports Jul 22. On the sidelines of his Kalachakra empowerment and teachings from Jul 3 to 14 in the northern Indian region of Ladakh, the Dalai Lama had asked Buddhists in Myanmar and Sri Lanka “to imagine an image of Buddha” before committing any crimes against Muslims, in a plea to halt the violence. The BBS leader has said he had initially wanted to visit the Dalai Lama at his headquarters in northern India to encourage him to correct his perception of Sri Lanka’s Buddhists, but later changed his mind. Sri Lanka’s mostly moderate Buddhists hold the Dalai Lama in high esteem, noted the AFP report. 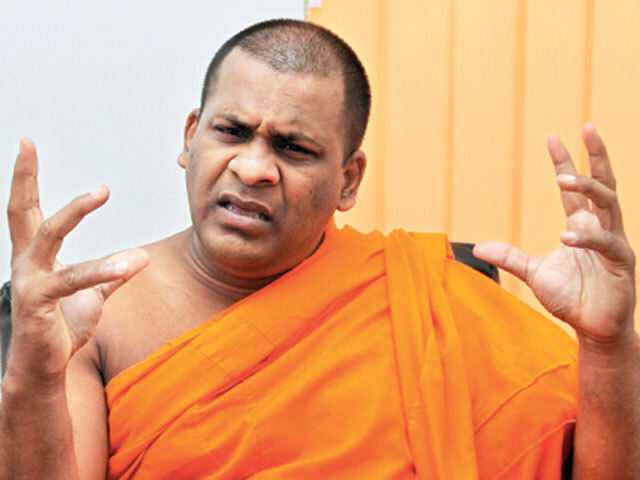 But successive Colombo governments have denied him a visa to visit pilgrimage sites in the island, due to Chinese pressure, a fact referred to by Gnanasara. Clashes broke out on Jun 15 in two southern Sri Lankan coastal towns of Aluthgama and Beruwela, which have large Muslim minority populations, during a BBS-led protest when inflammatory speeches were reportedly given. The worst religious violence in decades left four people dead. And in early July, hundreds of Myanmar Buddhists threatened to kill Muslims in the country’s second-largest city of Mandalay. Two people died in the unrest. Some 250 people have died in Myanmar since fighting broke out in the state of Rakhine in 2012, said the AFP report. Rights groups have compared Sri Lanka’s Gnanasara to Myanmar’s hardline monk Wirathu, who has been accused of fanning religious tensions in that country. The former has said he had met the latter and described both as “peaceful monks with no blood on our hands”.